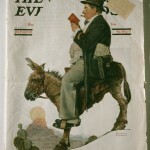 The Saturday Evening Post became well known for its illustrations. It featured the work of a number of the nation’s top cartoonists, most notably Ted Key and his Hazel series, but its cover images became even more celebrated. Cover artists included John Philip Falter, Charles Chickering, George Hughes, and many others, but the most popular was Norman Rockwell. This Rockwell cover illustration was published in July 1929. Norman Rockwell, born in New York City in 1894, became nationally known for his paintings that depicted an idealized version of American culture and were featured on the covers of The Saturday Evening Post. 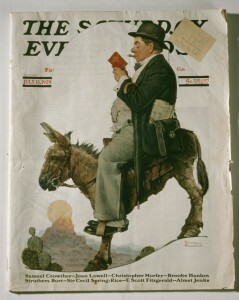 The 22-year-old Rockwell painted his first cover for the Post in 1916 and the last appeared in 1963. Over those 47 years, 321 other Rockwells appeared on the cover. Rockwell died in 1978. 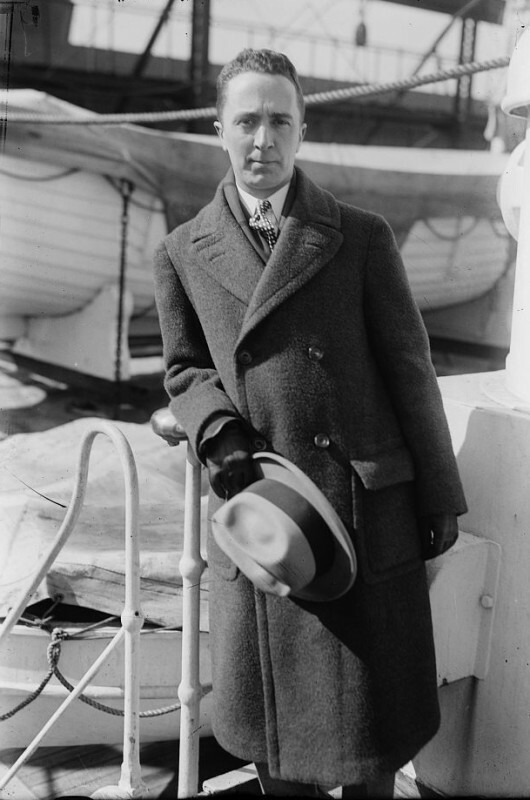 George Horace Lorimer (1867-1937), seen here in 1922, was the editor of The Saturday Evening Post from May 17, 1899, to January 1, 1937. In his early life George Horace Lorimer worked for a meatpacking company in Chicago from 1887 to 1895. Later he opened a wholesale grocery that ended up failing. After that closure, Lorimer moved to Boston and became a newspaper reporter. When Cyrus H.K. Curtis bought The Saturday Evening Post in 1897, Lorimer was hired as a literary editor and two years later was named editor in chief. During this time the magazine’s circulation increased dramatically, from two thousand to over three million copies a week. The Saturday Evening Post’s circulation grew from two thousand to over three million copies an issue. This growth allowed the Curtis Publishing Company in 1910 to build a grand headquarters at the corner of Sixth and Walnut Streets near Independence Hall. 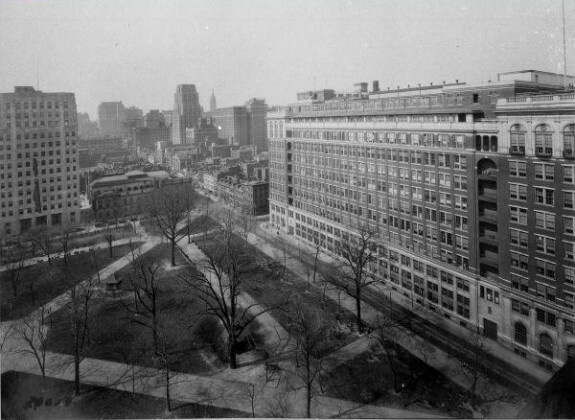 This photograph shows the Walnut Street side of the headquarters building at right, across from Washington Square Park, as viewed from the top of the Penn Mutual Building in 1960. The Saturday Evening Post ceased publication in 1969, only to be revived in 1971 after Curtis was acquired by Beurt SerVaas, an Indianapolis industrialist. SerVaas began to publish the Post quarterly from Indianapolis. The Curtis Center was purchased in June 2014 for $125 million in cash by Keystone Property Group and Mack-Cali Realty Corp. The new owners said they planned to remodel the Curtis Building for luxury apartments, with retail space on the street level. Cyrus H.K. 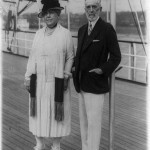 Curtis, pictured here with his second wife, Kate, aboard his yacht as they await President Calvin Coolidge and the first lady in April 1927, led an interesting and successful life. After dropping out of high school when a fire destroyed his family’s home in Portland, Maine, Curtis began his career in journalism. Curtis published his first paper, People’s Ledger, in Boston, but met little success. In 1876, in search of lower printing costs, he relocated to Philadelphia and began his career in earnest. With the help of his first wife, Louisa Knapp, as editor, Curtis created the extremely popular Ladies Home Journal. Curtis Publishing Company also put out the Saturday Evening Post, along with a handful of other magazines. Though Ladies Home Journal (now defunct) and the Saturday Evening Post are no longer published in Philadelphia, both owed their creation to Curtis’ success in the city. From a meager beginning to a $43 billion fortune (adjusted for inflation in 2008) built on publishing, Curtis became one of the richest men in American history. The Saturday Evening Post, one of the oldest magazines in the United States, originated in Philadelphia in 1821 as a four-page weekly newspaper printed on the same equipment as Benjamin Franklin’s Pennsylvania Gazette. After switching to a magazine format in 1870, the Post grew in the twentieth century to reach more than a million readers each week with articles, commentary, fiction, and art, including iconic covers by Norman Rockwell (1894-1978). Over the years the Saturday Evening Post published national news, moral commentary, and human interest articles. It became best known, however, for popular and literary fiction. Jack London (1876-1916) issued his novel The Call of the Wild in serialized form in the magazine in 1903, and its pages featured a number of literary icons–including Edgar Allan Poe (1809-49), Ray Bradbury (1920-2012), William Faulkner (1897-1962), F. Scott Fitzgerald (1896-1940), Kurt Vonnegut (1922-2007), and John Steinbeck (1902-68)–as well as popular writers like Agatha Christie (1890-1976) and Louis L’Amour (1908-88). It also published the poetry of Carl Sandburg (1878-1967) and others. The magazine also became well known for its illustrations. It featured the work of a number of the nation’s top cartoonists, most notably the Hazel series by Ted Key (1912-2008), but its cover images became even more notable. Cover artists included John Philip Falter (1910-82), Charles Chickering (1891-1970), George Hughes (1907-1989), and many others, but the most popular was Rockwell, who was discovered by Saturday Evening Post editor George Horace Lorimer (1867-1937) in 1916. Rockwell’s art, particularly his covers for the Post, remain popular for their depiction of everyday American life and their chronicle of major events in United States history, showcasing iconic images such as Rosie the Riveter in World War II or the heroic young Ruby Bridges during the civil rights movement. The Saturday Evening Post began its rise to fame in 1897 when Cyrus H.K. Curtis (1850-1933), founder of the Curtis Publishing Company in 1891 and of The Ladies Home Journal, purchased it for one thousand dollars. 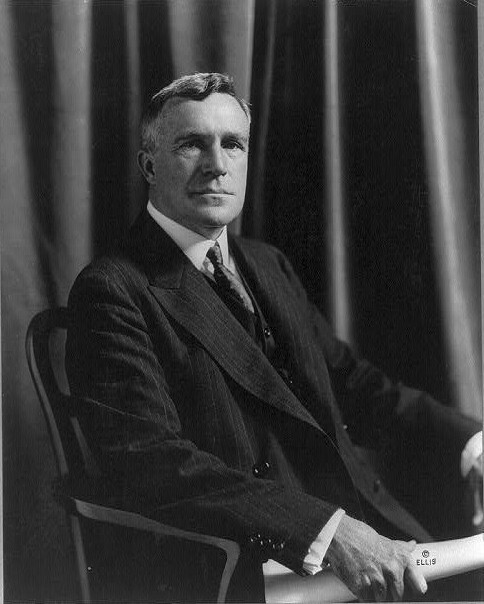 Two years after Curtis bought the Post, Lorimer began editing the magazine, and he remained at the helm until 1936. During this time the magazine’s circulation increased dramatically, from two thousand to over three million copies a year, and in 1910 the company, after changing ownership, built a grand headquarters at the corner of Sixth and Walnut Streets near Independence Hall. Despite its success in the early decades of the twentieth century, readership began to decline in the late 1950s. This was due in part to controversy over columnist Garet Garrett’s (1878-1954) vocal stance against Franklin D. Roosevelt’s New Deal programs, as well as to the growth of television, which began to overshadow print media for news and information. As the periodical’s popularity declined, it was less able to acquire pieces by prominent authors and illustrators, further lessening its appeal. In the late 1960s the magazine accused University of Alabama football coach Paul “Bear” Bryant (1913-83) and University of Georgia coach Wally Butts (1905-73) of conspiring to fix a game between their teams. This resulted in a defamation lawsuit and an order to pay over three million dollars to Butts. The Saturday Evening Post ceased publication in 1969 only to be revived in 1971 after its parent company, Curtis Publishing Company, was acquired by Beurt SerVaas, an Indianapolis industrialist. SerVaas began to publish the Post quarterly from Indianapolis. In 1982 the Benjamin Franklin Literary and Medical Society, founded by Dr. Corena “Cory” SerVaas (the wife of Beurt SerVaas), acquired the Post and reoriented it to focus on health and medicine. 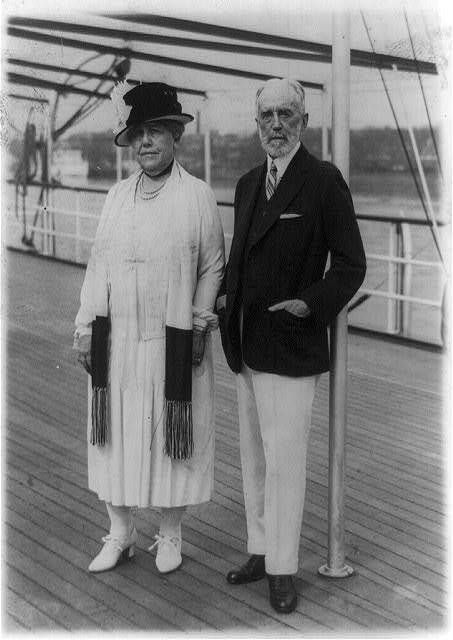 Corena SerVaas founded the Saturday Evening Post Society and transferred to it the ownership of the magazine. The periodical’s history took a new turn in 2013 when the SerVaas’s daughter Joan became chief executive and publisher and returned its focus to a broad range of topics and increased publishing to six times a year. 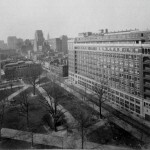 The magazine returned to Philadelphia and established offices in the Public Ledger Building, next to the Curtis Building where it was based in its heyday. Redesigned as a bimonthly news magazine featuring in-depth coverage of the top issues of the day, from big banks to gun control, the Saturday Evening Post in many ways returned to its roots. Cohn, Jan. Creating America: George Horace Lorimer and the Saturday Evening Post. Pittsburgh: University of Pittsburgh Press, 1990. Cohn, Jan and Joseph Rutt. Covers of the Saturday Evening Post: Seventy Years of Outstanding Illustration. New York: Smithmark Publishing, 1998. Friedrich, Otto. Decline and Fall. New York: Harper & Row, 1970. Fuller, Walter Deane. The Life and Times of Cyrus H.K. Curtis, 1850-1933. Philadelphia: Curtis Publishing Company, 1957. Garrett, Garett. Salvos Against the New Deal. Bruce Ramsey, ed. Caldwell, Idaho: Caxton Press, 2007. Janello, Amy and Brennon Jones. The American Magazine. New York: Harry N. Abrams Publishing, 1991. Kirby, James. Fumble: Bear Bryant, Wally Butts and the Great College Football Scandal. New York: Harcourt, 1986. Tebbel, John. George Horace Lorimer and the Saturday Evening Post. New York: Doubleday, 1948. Ward, Douglas B. A New Brand of Business: Charles Coolidge Parlin, Curtis Publishing Company, and the Origins of Market Research. Philadelphia: Temple University Press, 2010. Curtis Publishing Company Records, Kislak Center for Special Collections, Rare Books and Manuscripts, Van Pelt-Dietrich Library Center, University of Pennsylvania, Locust Walk between Thirty-Fourth and Thirty-Sixth Streets, Philadelphia. Norman Rockwell Museum Archives, 9 Route 183, Stockbridge, Mass. Curtis Center, 601 Walnut Street, Philadelphia. Former headquarters of the Curtis Publishing Company. 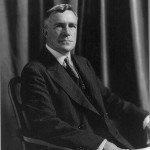 Cyrus H.K. Curtis Marker, 1250 W. Church Road, Wyncote, Montgomery County, Pa.